Dolby Atmos Ready Speakers Begin to Surface. It appears several speaker manufacturers are starting to jump on the Atmos bandwagon. 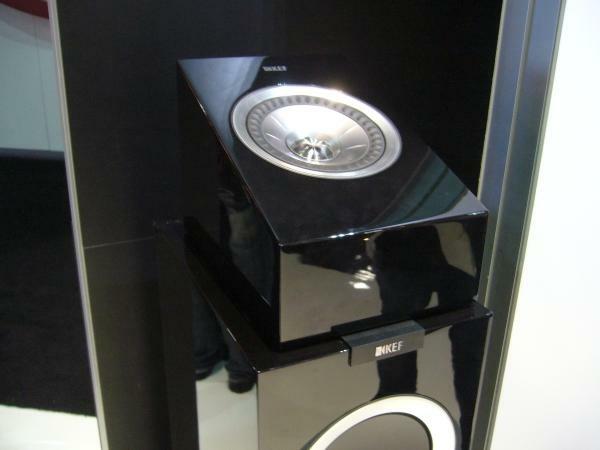 Major speaker manufactures like Kef (pictured above), Triad, Definitive Technology and others are developing “Atmos Ready” speakers. Most common design we’ve seen so far is a speaker with an angled baffle which sits on top of a tower speaker, aimed directly at the ceiling. Some of the demos we’ve heard at Cedia were pretty impressive. Is the consumer ready for Dolby Atmos at home? These new speaker designs make it pretty easy to dive into the format. Setting up a room for the best possible performance has always included minimizing and controlling room reflections in a room. 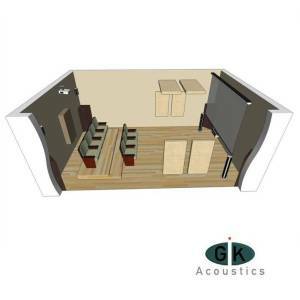 Image courtesy of Gik Acoustics. Dolby Atmos designed speakers encourage ceiling reflection to achieve best results. The speaker baffle is angled directly toward the ceiling allowing the sound to reflect off the ceiling and back towards the listener. 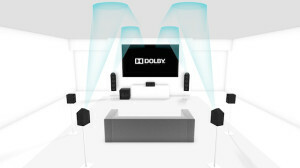 Image courtesy of Dolby Labs. How will reflective ceiling surfaces effect the other speakers in a room? Should be an interesting debate for audio engineers on how to handle room acoustics for a Dolby Atmos theater. Is Dolby Atmos just another way for manufactures to sell more speakers and processors? or will Atmos bring us one step closer to audio nirvana? You will hear arguments on both sides of the fence. Many manufactures are very excited about Atmos and strongly feel it’s the next big thing to hit the Home Theater market. As Atmos becomes more prominent in homes and source content is more widely available, only time will tell how well Atmos is received. ← Pioneer Sells Home Theater Division to Onkyo.